"Everything is good for the money, kitchen area, bathroom, st..."
Have a question for City Suites Ramos Tower by Crown Regency? "it was a good stay!" "From the quality of the linens to the location." "The best thing about the hotel is the view of the city, make..."
For travelers who want to take in the sights and sounds of Cebu, City Suites Ramos Tower by Crown Regency is the perfect choice. From here, guests can enjoy easy access to all that the lively city has to offer. A haven of rest and relaxation, the hotel will offer total renewal just steps away from the city's numerous attractions such as Sky Experience Adventure, Fuente Osmena Fountain, and the Consulate of United Kingdom. Guests can enjoy on-site features like a business center, laundry service, meeting facilities, facilities for disabled guests, and Wi-Fi in public areas. All guestrooms feature a variety of comforts such as a shower, complimentary bottled water, balcony/terrace, air conditioning, and refrigerator to please even the most discerning guest. The hotel's host of recreational offerings ensures you have plenty to do during your stay. 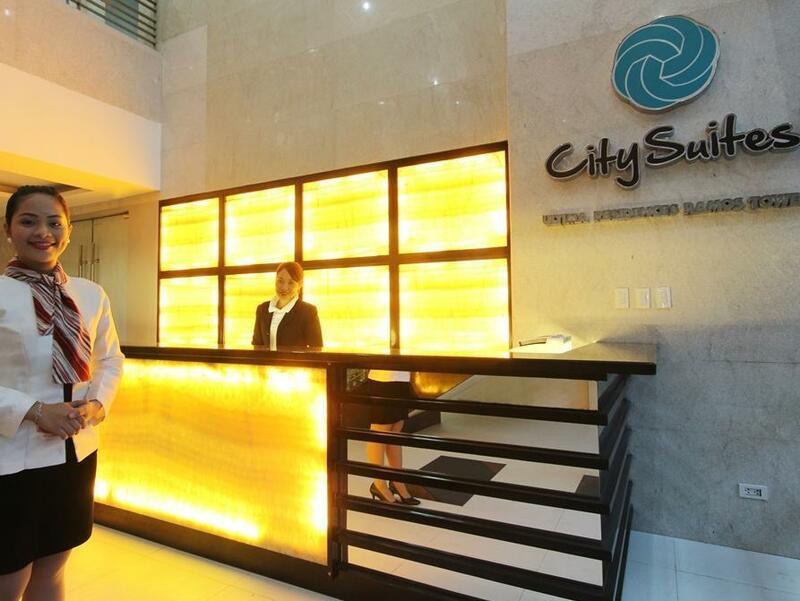 Whatever your reason for visiting Cebu, the City Suites Ramos Tower by Crown Regency is the perfect venue for an exhilarating and exciting break away. "Facilities inside the room is fantastic." Not very happy with the service. The AC in our room was dripping inside the room - the foot of one of the beds got wet. We called reception to advise and have it fixed but hours went by and nobody came. It wasn't until late in the evening and after following up 4 times, when the maintenance guy arrived and couldn't do anything about it. We were staying for one night only and just decided to stay as we do have the other bed to use but we were cramped in a single bed. Over-all, it was disappointing. I understand it's not really a hotel but more of a serviced apartment. However, I have stayed in a lot of serviced apartments and the service is prompt and efficient. I have never been a picky guest, my patience is long and I very rarely make negative comments but Crown Regency should take a closer look at the City Suites' management. The room is quite big and you'll know that you have picked hotel of good quality. The hotel is at good location. However, you cannot easily find the entrance 'coz it is located right beside the small street adjacent to the building. Great view of the City, clean rooms and well prepared, budget friendly (room service) food choices. I stayed with my family and I just wish they had the option for 1 queen size bed instead of twin beds. The bathroom needs renovation too, and the WiFi is intermittent and needs to be fixed. All in all, still a decent place to stay. I'll be back! I like the balcony and the amazing view of the city. The staff are courteous. The room is clean and the food they serve via room service is also decent. I just wish they offered a room with 1 big bed instead of twin. The bathroom needs renovation too. Overall, it was just right for the price. Will definitely come back! Pros: Very clean hotel. Great view of the city, fast elevators. Did not try the restaurant, maybe next time. Cons: Be prepared to pay a cash deposit even if you paid by credit card. Bit of a hassle. Clean place, Nice room, good location and service. We actually booked for another night for when we are back Cebu again. Its just good en simple, except for the breakfast, no need to book for that, its not worth the money. There are Nice places near the hotel where you can get an actual breakfast. I really liked to stay there. These are the reasons: Room like a studio: big size of the room, a balcony with great view to the city, facilities to wash the dishes like in a kitchen, good bathroom Good location: near many restaurants and shops, e.g. the Robinson Fuente Mall, close to the harbour, e.g. Pier 1 with the departure of the Oceanjet Ferries to Tagbilaran and Dumaguete Great breakfast buffet: with a big choice of western and filipino food, coffee, juices and tea – included in the price of the room – with very attentively service staff. I really can recommend the place and will go back, when i visit the next time the city of Cebu. Facilities inside the room is fantastic. Location is great. Although there are permanent/semi-permanent tenants in the hotel that keeps the elevator very busy all day long, it dod not bother me much anyway. Value for money. Very close to downtown Cebu and Fuente Osmeña (Mango Ave). For the price that I paid for, I will definitely come back to this hotel in my future travel to Cebu. Stayed with my LilOne ang Hubby for 3nights. The room was small not clean and receptionist was not even helpful need to call and call and call if u require to be assisted or request to clean the room. Aircon was showering water, they basically charge additional 100pesos if u request for new towel, or extra pillow or extra blanket.... lobby is very crowded noisy lift service is slow. u need to request the housekeeping to mopped coz if not they won’t clean the floor. No microwave! One more and the worst was we ask assistant coz our room aircon was dripping water during our 1st night we need to call reception for multiple times waited for 2hrs till someone came can just check the room and after few sec. reception call and told us that the reason that the aircon is dripping water coz we got a lot guest in the room! Like what the hell!!!! Its not bcoz we got guest its bcoz ur aircon need serious servicing. Very very rude! And btw other rooms are having a fiesta even goten letchon as handa! The best thing about the hotel is the view of the city, make sure you get a room with a balcony .We were there for the Sinalog festival so it was a perfect location right in the middle of the action. The cons, the rooms were a bit worse for wear and there are only two lifts for a massive building so there was a long wait. Staff refused to get us a room since reservation team did not yet receive an email regarding the booking. I dont know who is at fault AGODA OR THE HOTEL itself .The booking was fully paid and card was already charged. I felt like I was being questioned if i can afford to book a hotel or not. I was asked to pay for the published rate while waiting for the confirmation if booking went through or not. And promised to get a pay back if it went through. But I refused and insisted that the booking went through. After 1 hour and a half they finally saw my booking. We were able to check in past 5pm. We were told that restaurant is available til 9pm. But to our dismay, around 7:45pm we went to the resto only to find out that there is no chef around. The reason why i booked this hotel is because of the location, nice view during new year’s eve and was expecting to just order from room service to save the hassle of going somewhere. But yeah.... HASSLE. Booked crown regency towers, when i received the confirmation- shocked that They gave me city suites by crown regency. City suites has very Dirty toilet and bathroom and has a very small space to move around the bathroom/toilet; toilet doesnt flush easily; leaking aircon, staff issues. Not recommended for someone who wants to relax. The hotel is smelly the moment you entered the lobby, staffs were not so accommodating, the door knobs alarm is disturbing you have to slam the door really hard to prevent it from alarming, upon check out we are charged with smelly towels that was probably there ages ago and we explained we didn't use it and was pretty much evident that we haven't used the bathroom as well since we are only there for a night and is transferring to macron the next day, clearly the management don't know how to communicate well. The location is ok, but staff never look at the reservation details: i requested high floor and double bed in the Agoda additional comment section but they never read it! For the price this should be noted.. I'm a person who loves to stay in elivated places to escape from the noise around the metropolis. 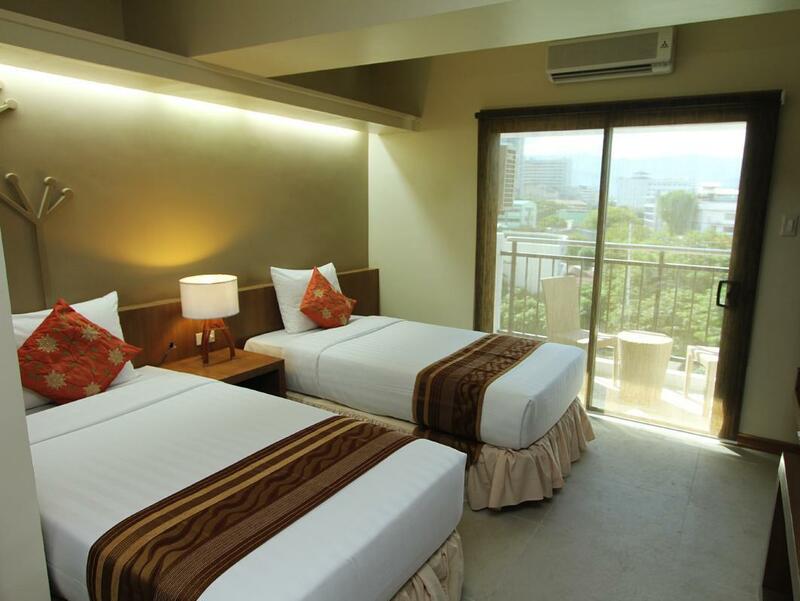 With the price it's one of the most affordable place to stay within the heart of Cebu. I'm person who loves balcony and yes every room has its own balcony so you will be at peace always. One thing I just dont like are the window blinds but perhaps you can request for thicker blinds so as you can sleep well during daytime. Overall still one of my fav place in Cebu City. We picked this hotel because it was walking distance to a place we had to visit. Check in itself was was smooth, up until we got to our room. There was no balcony, and when I called front desk to ask why there was no balcony when we paid for a room with one, she said they were fully booked. It was only when I asked her to refund the difference between the room with a balcony and without a balcony, that she said she would check if there was one more balcony room available, which there was, and we transferred rooms. I did not appreciate being downgraded without being informed especially since the room we paid for was more expensive. And if I had not asked about it I don't think they would have said anything. Room itself is a decent size; bathroom is way too small. You have to open the sliding doors when you sit on the toilet so you can maneuver. Shower is tight as well. They could have allowed more space for the bathroom. There was a cockroach in the bathroom of the first room they gave us. The rooms were renovated, but you can tell the building is old because the hallways are dark and not well maintained. It was ok. Not going back there. I would not recommend to friends. The staff on the front desk were eating while serving customers. Chewing while talking. One was wiping her hands on the papers before handing them out to customers. I expected better customer service. I enjoyed our stay here. The location is great. the room was clean. we stayed at the 33rd floor and the view was awesome. I liked that there was a porch where I could have my morning coffee or smoke. I would highly recommend this. Its an ugly hotel. The rooms stinks and smells so bad like a bad odor coming from the drainage. The bathtoom doors are broken and its a very or maybe the tiniest bathroom in tje whole world. The staffs are so un polite and poor service. The restaurant do not anything. If you order any sandwich they will tell you they dont have because they dont have breadand if you order any shake NO because they dont have ice. As in if there are ten menus in the list only two are available. When you enter thw reataurant everybody is talking including the chef and nobody will meet and greet and if you want to order ypu need to find them. Service there is poor mostly because the only person tjat will serve re those students who are on OJT because no staffs. Room service takes forever to deliver. Reveption people do not kow anything as their usual answer to any question is I dont know. Very baf hotel amd very dusty and dirty.